In my Reality SEO series I interview REAL LIFE HUMANS for who’ve changed their digital marketing for good and uses simple techniques to transform their business and brand. 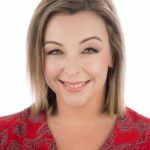 Donna Webeck is an accomplished real estate writer who, in 2015, pursued her passion for all things property to establish her specialist copywriting business, Prestige Property Copy. Working with real estate agents, small businesses and editors in this property space, Donna crafts compelling copy, designed to connect and convert. 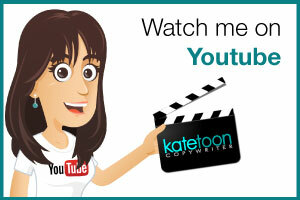 Kate: Hello, my name is Kate Toon and I’m the head chef here at the Recipe for SEO Success. An online learning hub for all things search engine optimization. 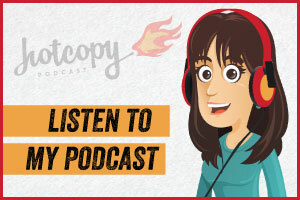 And this is the second in our reality SEO series where I talk to real life humans who have implemented digital marketing and SEO strategies for the benefit of their business and that they pass those tips and advice and wonderful creative things they did on to you our lovely listeners. And today I’m talking Donna Webeck. Hello Donna. Donna: Hi Kate, thank you for having me. Kate: It’s lovely to have you here. And first of all, why don’t you explain to our listeners who you are, what you do and why you do it better than anybody else. Donna: Well, so I’m Donna, and I have my own specialist real estate copywriting business, Prestige Property Copy, and I specialise in writing real estate and property materials for those in that industry and I write compelling copy, which is designed to connect and convert to more sales. Kate: It’s a beautiful USV. And so apps for it, we’re going to be talking about today. Also I think a bit of a dream job. I think it’s kind of cool to wonder around beautiful properties describing the views and the stonework tops and stuff. Donna: Oh, it honestly is my dream job because I love two things. I love real estate and I love words. So being able to combine the two of them, it really is like, I don’t feel like I work, I’m booked in soon to go to a pent house later today in one of the most higher up, top market hotels on the Gold Coast, so living the dream. Kate: You are living the dream. And you always come across as so like you’re really enjoying what you’re doing, so positive and happy and it just shows. If you work out what you want to do, and that’s kind of what we’re wanting to talk about today, but before we do, let’s take a step back. Kate: It’s two or three years ago and someone has creepily come up behind you and whispered, “SEO”. How would you feel? Would you be like, yep I know what that is. No, go away, get away from me. I don’t know what you’re talking about. Where were you at a couple a years ago? 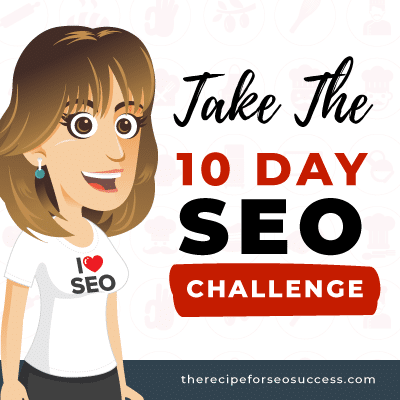 Donna: Couple years ago I knew of SEO, but I shuttered at the thought of delving into it. It just seemed far too complicated and time consuming and I just thought it was a battle that I probably would never win. 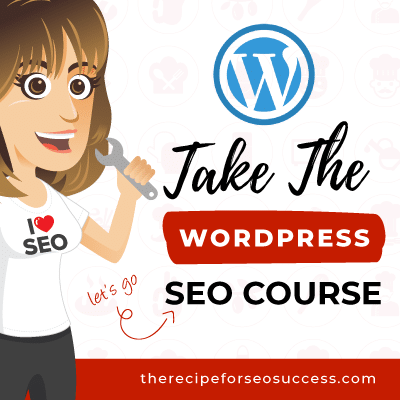 I thought it was for those people who had more time and more money and more resources and whereas I just had little ‘ol me and my little business and I thought no, there’s no way I can tackle this or tame this SEO beast. Kate: And yet now, look at you now. Donna: And yeah now, the phone won’t stop ringing. Kate: Exactly. Well, we actually had to make Donna take her phone out of the office because it’s rung about three times since we started this podcast. Donna: It truly won’t stop ringing. Kate: Well, that’s so awesome. And I think that’s the thing we’d kind of like to cover off next so that, you know, our listeners can take something away from this episode. What for you has been the biggest turning point in your digital marketing do you think? Donna: Well knowing what I want to do and specialising in one particular area has been a great benefit. I haven’t been afraid to niche into real estate copywriting. It was an easy decision to make basically because I love doing it so much so it doesn’t feel like a job. And that allows you to, when you do niche, it allows you to be a specialist and become an authority in that area, so that helps attract more customers when you position yourself as the go-to person in that industry. So that’s made a great difference in my digital marketing career. Kate: Yeah, and I remember when I started on the course and one of the first things we do is we talk about understanding your audience. What do they want? What are their beliefs, their desires, their fears? And then understanding who you want to be. What sort of words do you want associated with your brand? You know, are you going to be affordable, or you going to be luxury? Are you going to be this, or that? And you were very sharp on that, right from the get go. And obviously as we know, that helps with the rest of everything, because it narrows down your keyword research, it gives you clarity with the content and the types of silos of content you’re going to create. It gives you clarity about where you’re going to market yourself, because you know who your audience is, so you only need to be there. You don’t need to be everywhere else. Kate: Is that how it’s paned out for you? Donna: Absolutely and I think it just makes business life so much easier being able to do it that way. You’re not trying to be all things to all people. I knew I wanted to be an authority in the real estate copywriting arena, so that was what has driven every decision I’ve made in my business. Kate: Now what would you say to somebody who’s fearful about niching because they don’t want to alienate other people, like they would love to be a food copywriter or be known as having this particular set of skills as … what’s that guy in film that says that? I have a particular set of skills I will find you. Donna: Liam Neeson or someone. Kate: Liam Neeson, that’s it. There you go, well done. You get the point. I’m going to use that for the meme for this episode. Because some people who I talk to about this are like, yeah, but you know, I’d rather just go after like, say copywriter. I don’t want to actually say I want to go after this. What would you say to those people? Donna: Well for me it has paid off being able to just be so specific with my keywords. There’s a lot of, there’s just so much more competition when you, when you’re more generalist or and you’re open to a lot of … it’s great to be open to a lot of opportunities, but you’re not going to get the same traction I don’t think. 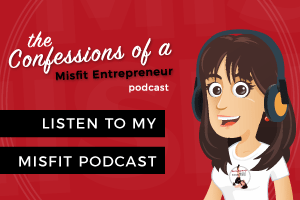 Donna: And I just think it makes it easier to convert clients from being potential clients into actual clients when you can create that authority around your brand and show them your vision and show them why they need to work with you because you know all about that specific industry. Kate: Yeah and I mean I think the truth is, maybe I still do, I haven’t googled myself for awhile, but I used to rank number one for copywriter just below Wikipedia, and as I always say, that wasn’t a great keyword for me because those people didn’t know what they wanted. 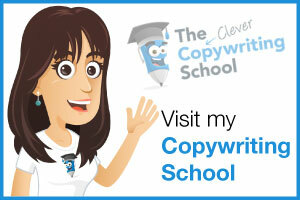 They wanted to be a copywriter, they wanted courses and books and back then I didn’t have them. Now I do. Kate: Plug, clever copywriting school, head there. Kate: But back then I wanted clients. So it, I started to niche down into say, small business copywriting or financial services copywriting, SEO copywriting. So, someone typing in “financial services copywriter, Sydney”, yeah the traffic is low for that. One or two searches a month maybe, but if I’m the top result and I’m converting them, how many of them do I need to get to make my ten, twenty K a month I need to make to hit my target? So you don’t, you know what I mean? 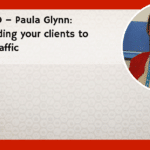 So you don’t need all the traffic,[crosstalk 00:06:45] you need the traffic that converts. It’s a simple thing, but it’s a thing that people don’t seem to wrap their head around. Donna: … and I thought oh, I’ll do this and I was like buried somewhere on page seven of Google or something like that. And, whereas now, I’m ranking first for my keywords, and you know, getting phone calls from people. I had a phone call this week from someone who said, oh I just Googled, “Australian real estate copywriter expert” and your name was the first organic result. And I’m like, [inaudible 00:07:27]. Kate: And you’re also getting traffic, what I thought was really interesting was that you started to get traffic from overseas. It’s not just Australia, like you’re really built up so much equity that you’re ranking highly in US searches as well. Donna: Yes, yeah. Starting to get inquiries from the states for copywriting as well. I actually had a scratch session with a lady from Canada who wants to be a real estate copywriter and she asked if she could contact me just for some advice and a bit of mentoring session. Donna: Yeah. It was a bizarre feeling actually. Kate: It’s happening. It’s all happening Donna. It’s amazing. Kate: Well look, let’s finish up with you know, providing a tip for our listeners. 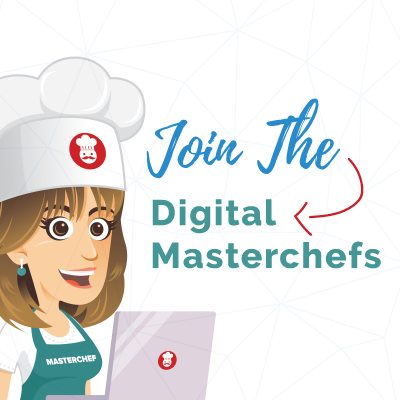 Someone is listening to the show, they really haven’t started with their digital marketing, or they’re feeling a bit lost and not sure really what … not necessarily what’s the next step, but what step is going to have the biggest impact for them because there’s so many things we could be doing. What would your advice be to somebody at that point? Donna: I would say don’t be afraid to niche down into a specific area. Think about what you’re passionate about. What you enjoy writing about, what you enjoy learning about and perhaps see if you can translate that into a career. 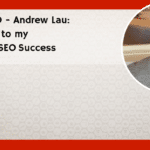 And also, the biggest difference for me is doing SEO courses such as your self. Such as the big SEO course. That has made the world of difference. 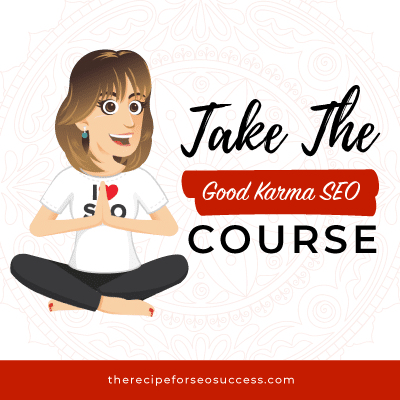 Even though I potted around trying to do things and learn things myself, nothing else has come close to converting the knowledge into real results than doing the big SEO course. So people, you need to do it. Kate: She wasn’t supposed to plug it. We actually discussed this beforehand. But I think it is fair to say that you can pick up a lot of knowledge online. Everything that I teach is freely available online, but there’s something about having a process and a structure and someone stepping you through it and someone holding your hand and going, when you try and do the thing, and the thing didn’t work, going hey, it didn’t work, what do I do? And someone being there to go, do this. And that’s the thing, because you know, you read the great article, I’ve read so many articles and it’s gone do this and it’s going to be amazing. And I do it and it breaks my site. And I’m like, I don’t even know what I did wrong, help. Donna: You need the whole big picture. 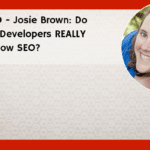 It’s not just enough to know about writing for Google and things like that. Kate: Don’t get me starting on that one, Donna. It’s my big bug. Kate: So look, I want to say thank you so much for taking the time to come on the show today. 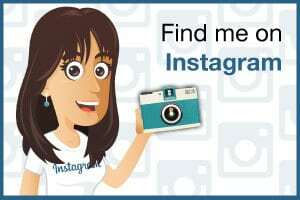 Where can we find more about you? Donna: So if you’d like to know more about my services, people can head to www.prestigepropertycopy.com.au. 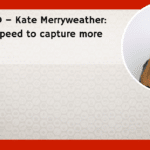 Kate: Or you can just Google Donna Webeck or you can Google real estate copyright expert and you’ll find her. Donna: And you’ll find me. Kate: Donna, thank you so much. And thanks to you for listening. If you enjoyed the show, please don’t forget to subscribe, leave a review or rating on iTunes stitcher or wherever you found this pod. 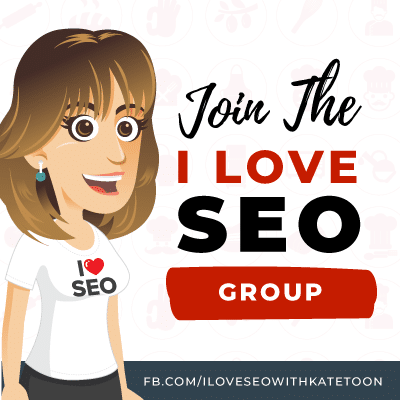 And if you want to learn more about SEO, feel free to head to my I Love SEO group on Facebook or check out www.therecipeforSEOsuccess.com. Thanks for listening and until next time, happy SEOing.